Climbing shoes, technical outdoor clothing, trail running shoes, hiking shoes, boots for ski mountaineering and high altitudes: quality, innovation and passion "Made in Val di Fiemme. "To rise to the top is a goal, an instinct, a vocation. French brand Hoka One One was born in the minds of two sports enthusiasts, Jean-Luce Diard and Nicolas Mermoud. Both are lovers of adventure and run. They have extensive experience with a variety of cross-country trails around the world. Both pioneers accept the idea that the runner should feel free to either running around in the countryside or in the city. Fatigue, tension in the muscles and problems associated with the runners must deal with every day. Jean-Luc and Nicolas started working on a shoe that these problems would largely eliminated and the pleasure of running that could be unlimited. Commonly called. OVERSIZE concept HOKA ONE ONE can bring benefits for up to 80% of all types of runners. 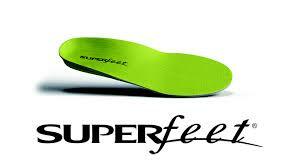 Energy expenditure compared to a standard shoe is reduced by about 3.3%. This results a lower heart rate value and the opportunity to run faster. It reduces stress the tibialis anterior muscle (tibialis anterior) by 15%, thereby increasing the potential for injury of running without the often affected muscle. It reduces the effect of impacts on the entire body by 25% (average during the after the flat, uphill, downhill and at different speeds), thereby contributing to a faster recovery and better cross-country comfort. Manufacturing enterprise of sports footwear was founded in 1949 from the company Onitsuka Tiger, but its present name ASICS used since 1977, when he began produce sportswear and sporting goods. ASICS is the abbreviation of the Latin phrase Anima sana in corpore sano "which means" in a healthy body, healthy spirit ". Technology used by Mizuno at their sports and running products. The team at UltrAspire consists of fun and friendly people with a variety of interests as well as personalities. Though we are diverse in backgrounds, we come together on common ground on many things such as sharing a love of running and/or other endurance sports, enjoying the outdoors, and using gear with a smart design and intuitive functionality. When we aren’t at the office, we are outside doing what we love, sharing memories with those we love, and using the UltrAspire products we create. Really. Elite Creators mission is to bring principles of our philosophy together in the search to provide ultimate solutions. This is represented in our logo by the symbol Phi, the Golden Ratio correlating with the Fibonacci sequence. It is reflected in science, music, art, nature and architecture. It denotes harmony, order, functionality and the creative force infusing our products with optimal performance and an experience toward perfection. CRAFT is a Swedish brand specializing since 1977 in the development and manufacture clothing for endurance sports, where functionality and comfort plays a vital role for optimal results. By working closely with top athletes and continuous development of new materials and technical solutions CRAFT is a training and racing outfit that brings real benefits. Years of hard work to make us understand the individual needs of elite athletes and "amateurs". We study their movement patterns for each part of the body measures the amount of sweat produced and heat. Our deep knowledge of how the body works during intense sport with us on the one hand give confidence in what we do, on the other hand, we find that nothing is eternal. Techniques for running, cycling, skiing, all evolves and changes. Similarly rapidly changing requirements of athletes to ergonomics and function of clothing. To meet these demands pushes us forward in the development of cutting-edge sportswear. Clothing, where functionality and modern design form a whole. Montane works with the world's leading fabric suppliers. Driven by technical know-how and experience, Pertex have now collaboratively worked alongside Montane for over 25 years as a leading fabric technology partner. Globally recognised for their trusted approach to fabric design, Pertex understand and appreciate that protection from the elements is paramount to maximise the enjoyment factor and experience in the outdoors. We also use GORE on a variety of clothing and equipment including four different GORE® technologies, each designed to meet the intense demands of alpinists, mountaineers, trail runners and mountain walkers. PETZL is inventing products and provide solutions that allow sports enthusiasts and professionals to progress, position, and protect themselves in vertical environments, access some of the most inaccessible places, both day and night. Specialized headlamps for professionals. A small family business is located halfway between Venice and Arce. It was created 9 years ago and is engaged in the production of high quality sticks for trekking, Nordic walking, downhill and cross country skiing. Original machines on which production took place, was adapted and upgraded. Currently they produced for own developed and manufactured machines and all production is located in the family factory in Italy from blanks supplied purely Italian suppliers. They own several technical patents for systems that use only sticks brand Vipole. Their credo is manufacturing products of the highest quality with the latest technical features. NORTEC company specializes in the production hiking crampons. NORTEC offers a wide selection of crampons for running, hiking, field work as well as everyday use. All models are manufactured and designed in Italy. They tested their best athletes to meet all the criteria for safe use in the mountains. Quality and functionality is our priority. SaltStick Anti-Cramp Electrolyte salt capsules and dispensers designed for cyclists, triathletes, runners, and adventure racers. SaltStick Capsules are crucial to minimizing muscle cramping, heat stress and fatigue due to unbalanced electrolyte levels and the dispensers provide you with a way to take them just about anywhere. Nearly every lot of SaltStick is tested for banned substances. SaltStick Electrolytes are produced in cGMP (current Good Manufacturing Practices) facilities, certified not to handle any banned substances. GARMIN is founded on the principles of innovation, performance, value and customer service. What originally began as a brainstorming meeting of engineers around the round table in 1989, gradually grew into global efforts of thousands of employees. Purpose of the company, just as before, remains the original: To create navigation and communication devices that enrich people's lives. Innovative products combine many advantages in many fields of application, from leteckejh over the sea, from the car after gym, since wireless solutions to hiking, GARMIN employees are in the air, on the water, in the woods, in cars and on bicycles. A constantly creating ways to improve and better adapt to the customer. ARCh MAX is a Spanish brand created by former ultra runners who have developed products based on its long experience and needs. The French brand Raidlight has been pioneering the world of Trail running since its foundation in 1999 by Benoit Laval; an avid runner who has run over 100 trail races across all the continents around the world and was selected for the French Trail running team in 2010. Raidlight France is based at 1000 metres of altitude in the heart of the Massif de Chartreuse where it employees a team of 30 highly motivated employees who are each passionate about outdoor activities. From its Eco-friendly designed offices Raidlight continues to develop sport specific lightweight products for every aspect of users anticipated needs; including shoes, bags, clothing, accessories and more. Raidlights desire to pioneer and share, led it to become the first brand to create both an inclusive trail community called “Team Raidlight”, as well a network of Trail Workstations (Station de Trail) across some of Europe’s most beautiful mountain ranges. Through this inclusion and integration of its customers, Raidlight’s Research & Development department can truly design collaborative and required trail running equipment in an interactive, innovative and passionate way. Raidlight, Share the Trail - Running Experience! SAUCONY the US giant in the market of running shoes. Since its establishment has been designed especially for runners who enthusiastically returning to this already legendary brand worldwide. Runners inspire her, they bring new ideas and doing it better the engine of its design and engineering. Keep it to become competitive on the basis of precise suspension, the best possible comfort and maximum quality.